In 1975 Houston’s Mini Coaches started of as a small family run business with only a few buses available for private hire and a handful of school contracts and local council contracts. Now Houston’s Mini Coaches have expanded with depots in Lockerbie and Dumfries and are now a second generation family run business. We have over 70 employees and a strong fleet of around 45 vehicles, which supply the local area with a first class service. We have 16, 33, 49, 51 and 53 seater coaches available to hire for Weddings, Airport Transfers, School Hires, Day Tours etc. We also have service buses that are used on our council routes around Dumfries and Galloway. Our local council contracts cover a 60 mile radius from Langholm to Gatehouse of Fleet. We offer reasonable, affordable day and weekly tickets and a special return ticket on selected services. In 2008 we expanded our services for day trips around the UK, with a variety of locations as far afield as Chester, in the south of England and Loch Lomond, in the north of Scotland. Every year we try our best to offer customers a varied selection of Day Trips to cover all ages and interest, to give our customers the opportunity to discover the UK in a trouble free and relaxed environment. 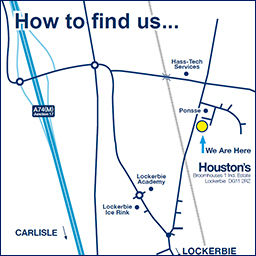 Our office is based in Lockerbie at Broomhouses 1 Industrial Estate, Lockerbie, DG11 2RZ. All our coaches and buses are maintained at our Lockerbie depot by our well experienced mechanic’s and cleaned inside and out on a daily basis by our team of domestic staff. We pride our selves for having well mannered, reliable and well dressed staff who are happy to go that extra mile to provide a professional service. We offer a variety of buses at very affordable rates with an array of capacities, accessibility and much more. Our 16 seater mini coaches are comfortable, stylish and ideal for small excursions. Our 33 seater coaches perfect for School Trips, Weddings and Day Trips. Our 49,51 and 53 seater coaches are equipped with toilets and comfortable seats allowing large parties to travel to their location in style and comfort, they are ideal for bigger groups, weddings and are used on our own day excursions. Our main goal is to ensure all who travel with us have a safe and enjoyable Journey, from the first call for quotation through to the Final stop on the return journey. To get directions to Houstons Coaches click here.